As Scrum Masters we try to help our teams, and team members find their inner motivation. The intrinsic motivation that helps them grow and succeed. Gunther shares his views on where intrinsic motivation comes from. 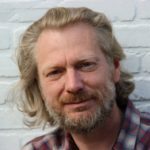 In this episode Gunther also covers self-organization and its impact and role for scrum teams.